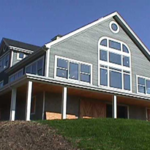 Atlantic timber frame homes provide the warmth and beauty of hand-crafted timber with unmatched quality. Every timber frame home we build is unique, but our focus is always the same — building each client's timber frame dream home. 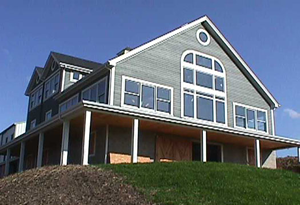 Since 1991, we have helped many homeowners to realize the beauty of a timber frame home, hybrid timber frame home, or timber frame addition. 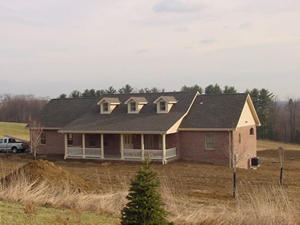 This is our passion, and we welcome the opportunity to build you the timber frame home you have always wanted! 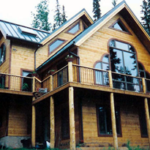 To give you ideas on various options, we have put together some timber frame home plans based on our most popular the timber frame structures. Please be sure to review these and let us know if you have any questions. If you find one that you like, you can also request pricing. If you have always wanted a timber frame home, but do not have the finances to build from scratch or the desire to move from your existing home, consider adding a timber frame addition. Building a new home? 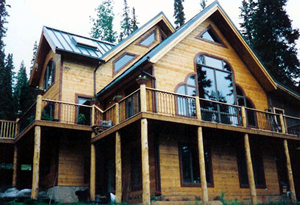 Combine handcrafted timbers with conventional building methods. If you have a local builder with the experience required to raise a timber frame home, then you could consider buying one of our timber frame kits. We will create the home as we would any other project. The only difference is that someone else is responsible for the completion of the home. The service received from the first inquiry to the completion was excellent. We are very happy with our new timber frame home. A friendship and camaraderie that adds character to our timber frame home. A truly enjoyable and educational experience. Atlantic Timberframes did a great job. They were helpful with design and delivered a superior product on time and on budget.